n a very special part of New Zealand, this little gem of a home sits nicely nestlled in the surrounding landscape with views of Lake Wakatipu and The Remarkables. 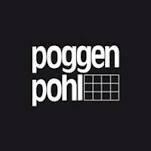 With a Poggenpohl kitchen and kitchenette to choose from. Which would you choose? Read our brochures online here! This house in Bad Salzuflen, Germany, has been home to the same family since it was built for them in 1987. At the heart of their plans was a new kitchen, integrated into a redesigned open-plan living space.